In an effort to build a dynamic shared-use integration of the new Plymouth Council on Aging and the new Plymouth North High School, the Town selected Ai3 to design both facilities on a single integrated campus. The new Council on Aging is organized to take full advantage of High School amenities such as outdoor and indoor walking tracks, but also maintains its own identity as a stand-alone facility on the shared campus. Designed in the same Federal Architectural style as the new high school, the new Council on Aging facility will replace the existing Plymouth Senior Center and more than double the existing square footage. 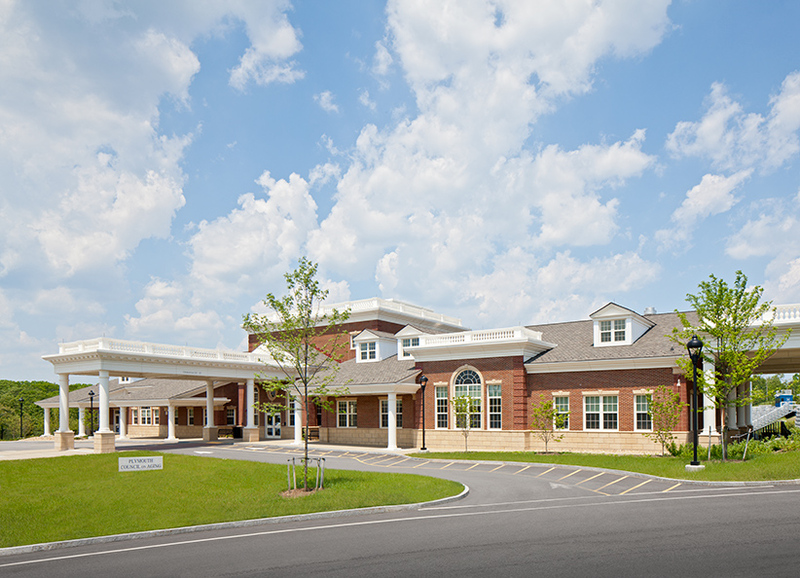 It includes a separate parking area, drop off and pick up area, art and billiards room, dining hall, exercise room, gift shop, kitchen, supportive day care component, and several outdoor and indoor sitting areas.